Chris Marchant swaps rear drums for discs on his Anglia. - Vintage Tyres Chris Marchant swaps rear drums for discs on his Anglia. Chris Marchant swaps rear drums for discs on his Anglia. 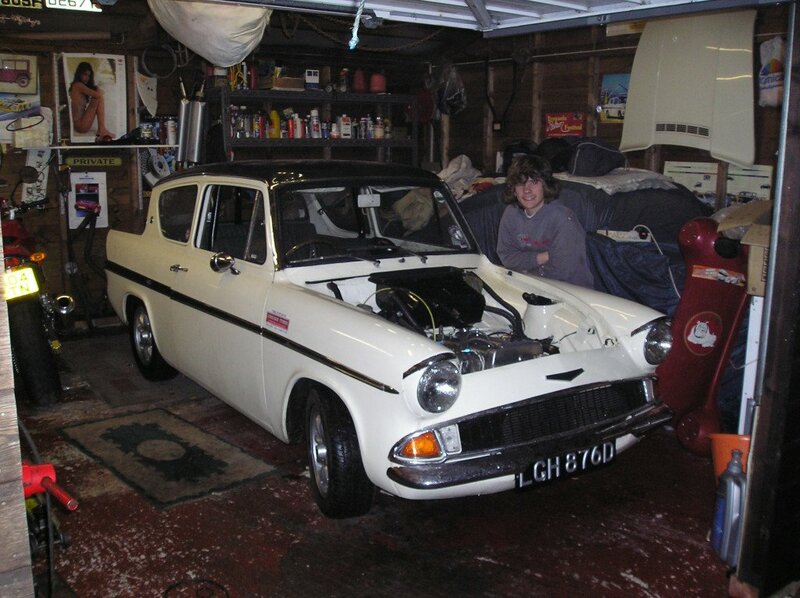 I’ve owned my Anglia for nearly 30 years now. It started as a “one owner from new, never been welded” 1200 Super DeLuxe. I was actually looking for a nice two door Mk2 Cortina, to re-shell an incredibly rotten Cortina Lotus. However, I found the Anglia in a local paper and at the time it seemed like a good idea to put the Cortina bits into it, after all Cortina Lotus’s were the poor relation and really weren’t worth much were they? (Yeah right, hindsight’s a wonderful thing isn’t it)! 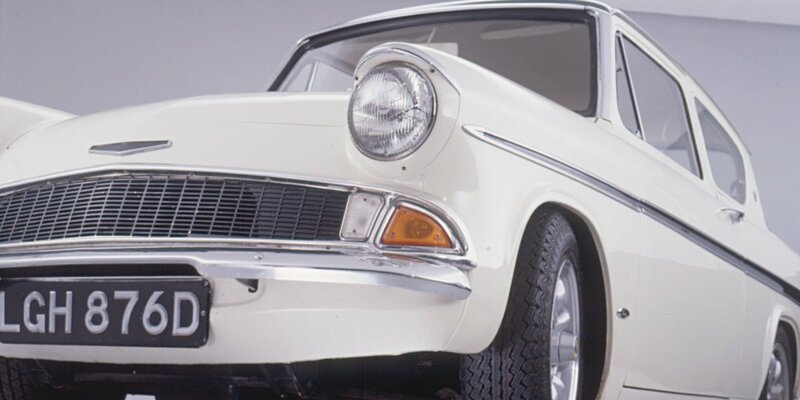 The Anglia soon became a bit of an obsession and a firm favourite with the family. 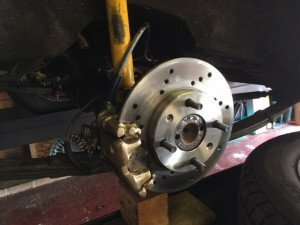 The most recent job on the Anglia was converting the old rear drum brakes to discs. 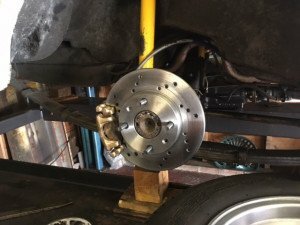 With the exception of machining the o/d of the half shaft flange so it fits inside a Fiesta disc It’s a pretty simple mod that’s basically a nut and bolt job. Nick from Nickal Engineering did the machining for me and I rebuilt the secondhand Cosworth calipers. Earlier mods include turreting the rear suspension and fitting an A frame to locate the axle, so it’s quite busy underneath and routing the modified Cosworth hand brake cable required a little care. I also had to make up new metal brake pipes that enabled the metric calipers to work with the old Imperial Ford connections; with that done it was a simple job to bleed the air out and check for leaks.